HRANA reports that two Bahais of Shiraz have been summoned to the Ministry of intelligence tomorrow. They are Mehran Behmardi ( مهران بهمردی ) and Mr. Tala`i ( آقای طالعی ).Khabarnavard adds Wahid Mahmudi ( وحید محمودی ) to the list of those arrested, giving 14 arrestees known by name. ~~ with apologies to those whose names I have misspelled. Government-sponsored media in Iran are reporting the arrests, without details. Jahan News says that ““This so-called virtual university was in fact a cover for the promotion of the wayward Baha’i sect, extending espionage work among fellow-citizens, and gathering intelligence from inside of Iran.” This appears to indicate that the charges — as in the case of the Yaran — will focus on spying for foreign powers. May 23: PCED has photographs of the aftermath of security agents’ search of the home of Emanullah Mostaqim in Shiraz. The agents took away almost 20 rubbish bags of documents and possessions, largely related to the Bahai Faith but also including birth certificates, a marriage contract, and mobile phones. 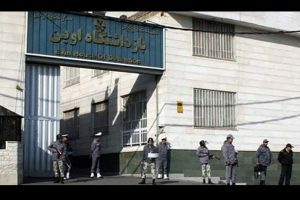 RAHANA has an English report of the searches in Shiraz and the arrest of Mr. Mostaqim. 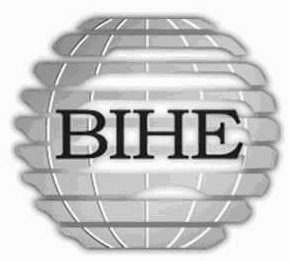 RAHANA reports (in Persian) that Navid Asadi, one of three Bahais arrested in Sari, is a graduate from the BIHE, where he studied accounting. When his home was searched, at 7.30 am on May 22, the officers seized a laptop and religious books and images. Sadaf Thabetayan, another of those arrested in Sari, is a student who was at first accepted for a course in English translation at the University of Mashhad, but did not have that place confirmed. Instead, he studied accounting at the BIHE, and is in the seventh semester of the course. When his home was searched, the officers seized a computer and a laptop and religious books and pictures. The officers said the charge against him was being a Bahai. Amir Hushang Amirtabar is the third arrestee in Sari. He is 67 years old. He suffers from heart disease and low blood pressure, and poor vision. Nothing has been heard of him since his arrest. When his home was searched, the officers seized religious books and pictures, a computer and a laptop belonging to his son. Soheil Qanbari is an administrative worker at the BIHE, and was arrested in Tehran. Her husband said that their home was searched at about 11 a.m., by 7 or 8 officers, who seized a computer and a laptop. Another RAHANA report from Shiraz says that the home of Noghme Mostaqim ( نغمه مستقیم ), daughter of Emanullah Mostaqim, was turned upside down in a search. The officers seized a computer and a mobile phone, and she was told to appear at “pelak 100″ [an office of the Ministry of Intelligence?] on Wednesday, but this was later revoked: she will be informed later when she is to report. 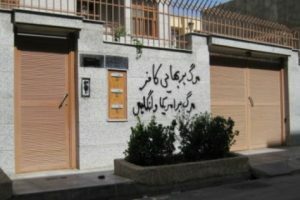 The homes of Mehran Behmardi, Amin Tala`i and Shehnza Sami`i ( مهران بهمردی، امین طالعی و شهناز سمیعی ) in Shiraz were also searched, and items such as PCs and laptops were seized, but nobody was arrested. 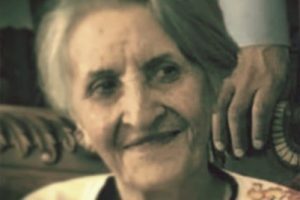 Enquiries were made after Nazila Hashemi ( نازیلا هاشمی ), wife of Hushang Mithaqiyan ( هوشنگ میثاقیان ), another member of staff at BIHE, but their home was not searched. Vahid Mukhtari, one of those arrested, lives in Gohardasht, Karaj (site of the infamous prison). RAHANAreports that his home was searched at 8.45 a.m. on May 22 by three officers, who seized a laptop, mobile telephone and modem belonging to his wife, and then took his wife with them as they went to Mr. Mukhtari’s work place, where they seized a laptop, modem and hard drive, and shut down his work place. Then they returned to his home to pick up some pamphlets on the Bahai Faith. [It’s astonishing how keen Iranian security officers are to learn about the Bahai religion, considering that they are officially supposed to be searching for an espionage network] Mr. Mohtari was then taken to Evin prison.